Today is the big day !! Dr. David Wold is here with us seeing patients as the newest member of our fantastic team at Maple Grove Family Dental Clinic. Please join us in welcoming Dr. Wold to our office. We are so excited to have him ! 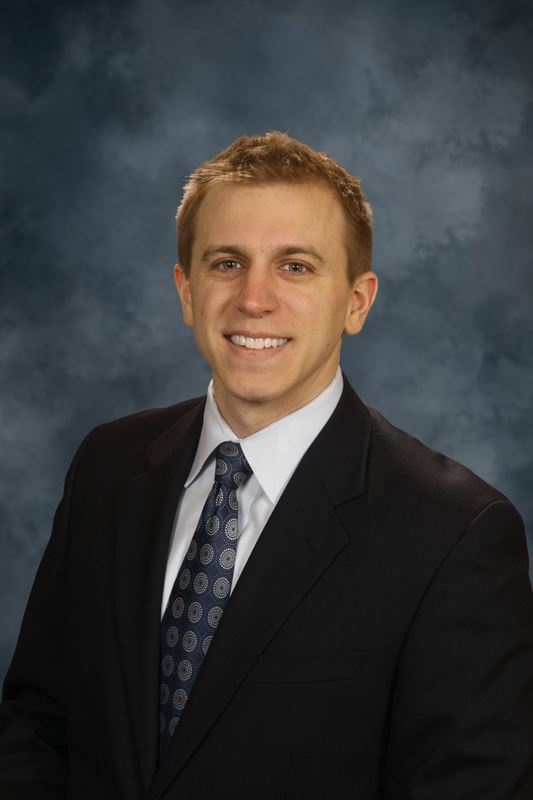 Dr. Wold is originally from Woodbury, MN and has lived in the Twin Cities his entire life. He graduated with Honors from Gustavus Adolphus College with a B.A. in Management. Dr. Wold was a member and captain of the Varsity baseball team. He received his Doctorate of Dental Surgery degree at the University of Minnesota and was awarded the Professionalism Scholarship by his faculty. 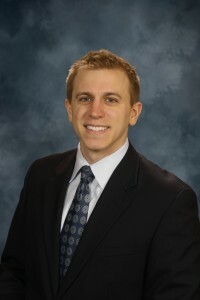 Dr. Wold is a member of the American Dental Association, Minnesota Dental Association, Minneapolis District Dental Society, and the Academy of General Dentistry. Dr. Wold’s professional interests include oral surgery, esthetic dentistry and comprehensive care. In his spare time, Dr. Wold enjoys traveling and trying new restaurants with his wife. He also enjoys hunting, fishing, hiking, and playing softball. With mixed emotions, after 28 years, I am announcing my retirement from Maple Grove Family Dental Clinic. I would like to thank you for allowing me to provide your dental care through the years. I have enjoyed getting to know you and sharing part of your life, while you trusted me with your dental care. My last day will be March 11, 2016. I believe it is the best time for me to move on to the next stage of my life. I plan to golf, travel and spend more time with friends and family. A good part of that time will be spent in Denver with our first grandchild due in June. Maple Grove Family Dental Clinic has been a great environment to have been a part of and I will miss all the wonderful staff. A new associate has been hired to take over my practice and I encourage you to continue your dental care with him. His name is Dr. David Wold. Dr. Wold’s start date is undetermined at this time, but rest assured that your dental needs will be well taken care of in the case of any interim period. 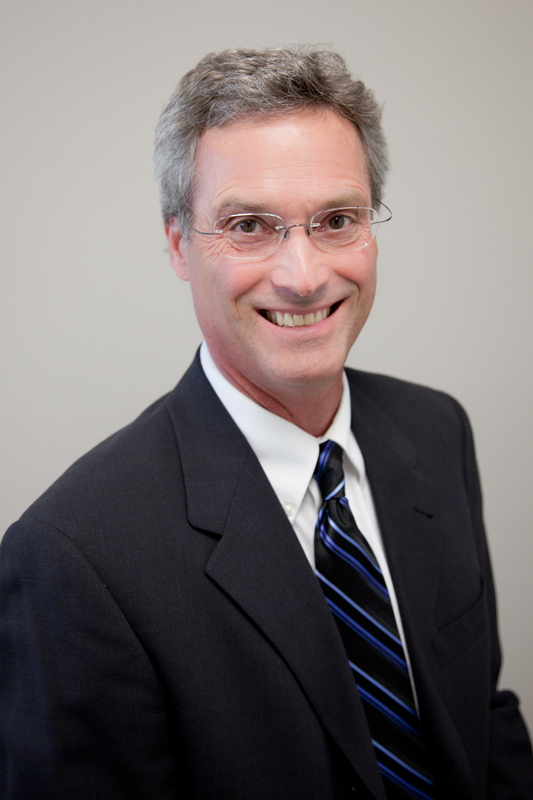 Dr. Wold is originally from Woodbury, MN and has lived in the Twin Cities his entire life. He graduated with Honors from Gustavus Adolphus College with a B.A. in Management. Dr. Wold was a member and captain of the Varsity baseball team. He received his Doctorate of Dental Surgery degree at the University of Minnesota and was awarded the Professionalism Scholarship by his faculty. Dr. Wold is a member of the American Dental Association, Minnesota Dental Association, Minneapolis District Dental Society, and the Academy of General Dentistry. Dr. World’s professional interests include oral surgery, esthetic dentistry and comprehensive care. In his spare time, Dr. Wold enjoys traveling and trying new restaurants with his wife. He also enjoys hunting, fishing, hiking and playing softball. I will try to complete your planned treatment before my last day, but I feel confident and comfortable with you continuing your dental care with Dr. Wold. If I do not have the opportunity to see you before I leave, thank you again for your trust in me and Maple Grove Family Dental Clinic. Due to construction for our remodel Maple Grove Family Dental Clinic will be closed Friday June 13th and Monday June 16th. Please feel free to contact us by phone as we will still be here to answer your calls! 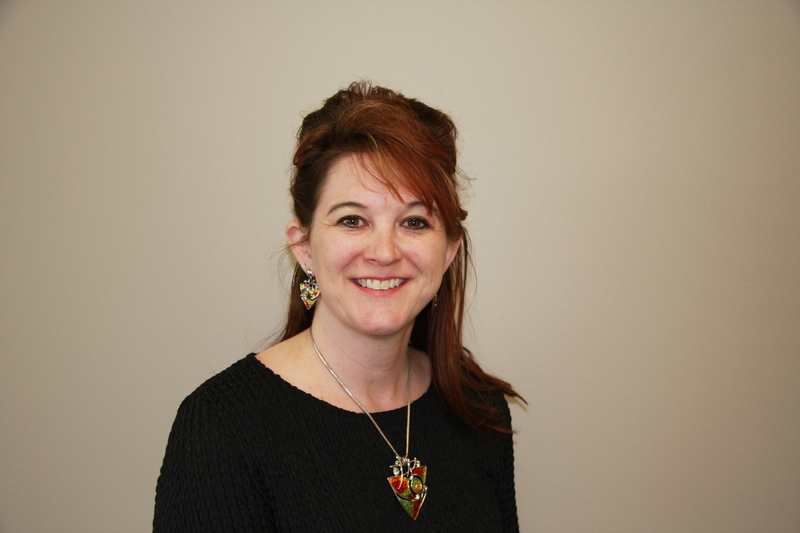 We are excited to introduce Tammy, our new Front Desk Receptionist at Maple Grove Family Dental Clinic! She comes to us with many years of experience and will be welcoming you at your next visit with us. We are very grateful to have her as a new addition to our team! 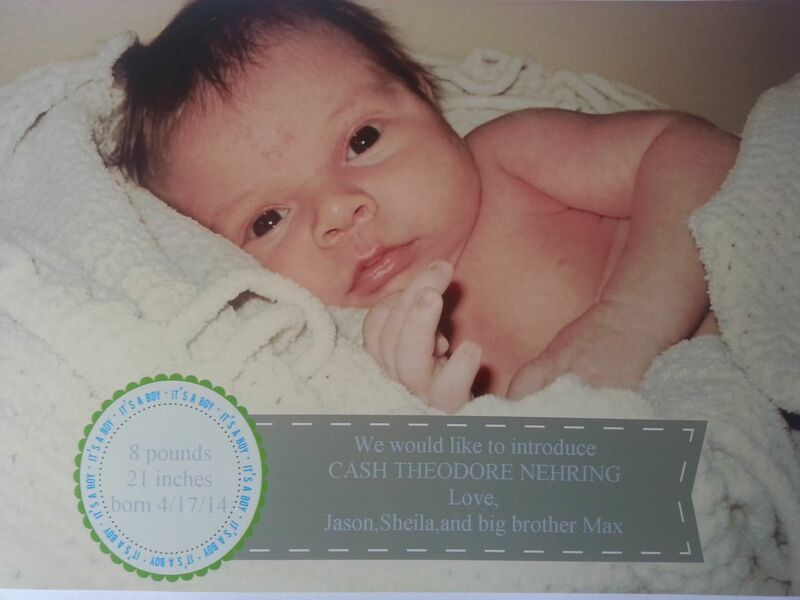 We are so happy to announce that our Front Desk Coordinator, Sheila had her baby boy on April 17th! Congratulations to Sheila and her husband Jason on their little bundle of joy! 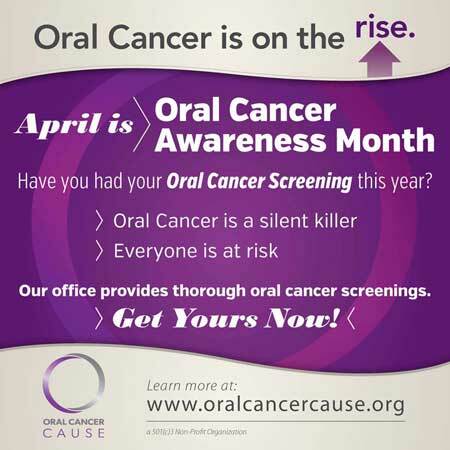 Approximately 43,250 people in the U.S. will be newly diagnosed with oral cancer this year. Your Dentist and Hygienist are often the first line of defense against oral cancer. While smoking and tobacco use are still major risk factors, the fastest growing segment of oral cancer patients is young, healthy, nonsmoking individuals due to the connection to the HPV virus. Professional involvement and public awareness is vital to educate our communities about oral cancer awareness, prevention and early detection. 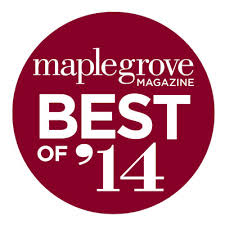 Maple Grove Family Dental performs an oral exam during your routine dental visit to screen for oral cancer. During an oral exam,we look over the inside of your mouth and under the tongue to check for red or white patches or suspicious mouth sores, as well as, checking the tissues in your mouth to check for lumps or other abnormalities. Never ignore a sore, lump, or any abnormality that may appear in your mouth. 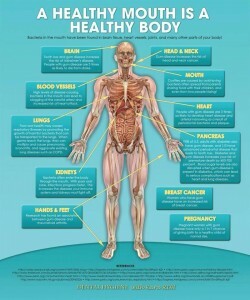 It is always best to have them evaluated your dentist to rule out oral cancer. 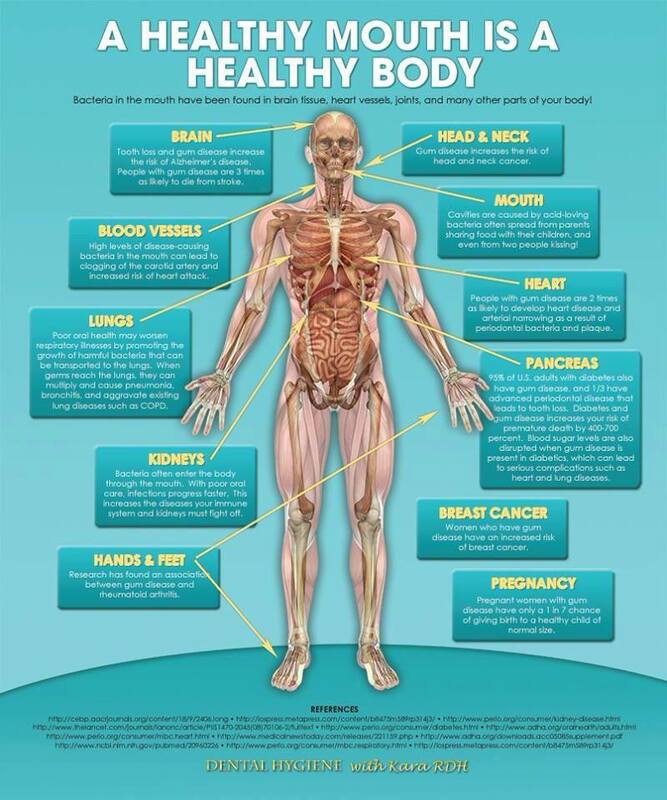 A health mouth is a health body, let Maple Grove Family Dental Clinic help you make this year a healthy one! Happy Children’s Dental Health Month! Maple Grove Family Dental Clinic is having a Tooth Brushing Photo Contest! Snap a picture of your child keeping their teeth healthy and post it to our Facebook page for a chance to win a Target gift card and passes to the Maple Grove Community Center! Picture with the most “likes” wins. Don’t forget to share your photo for your family and friends to vote! 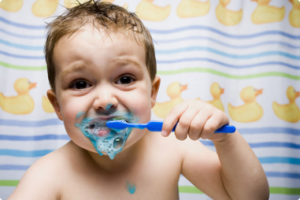 What can your child expect at their first dental visit with Maple Grove Family Dental Clinic? The first experience at a dentist can be scary! Here is a fun video that walks your child through a dental appointment and what they might see while sitting in the dental chair. Click here to watch Billy Blue Hair, a great video for children before their first dental visit.